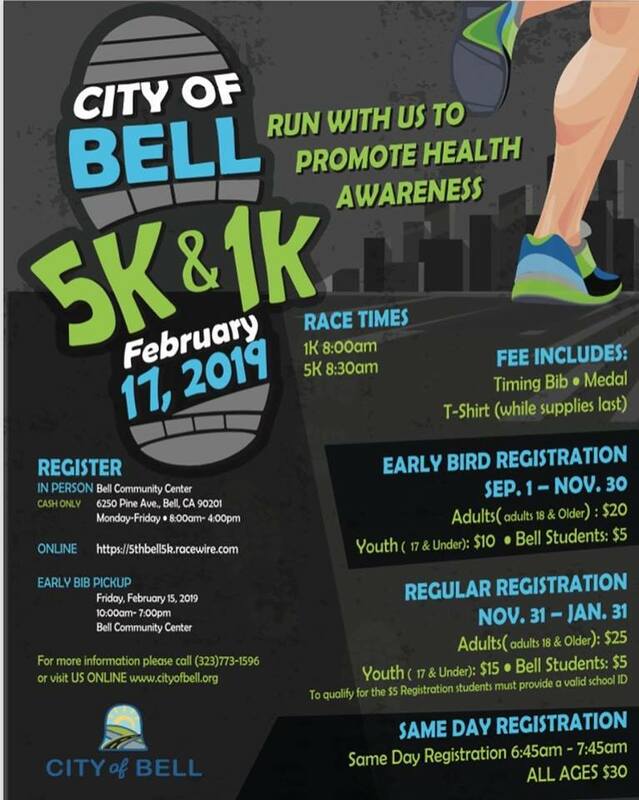 Join the City of Bell at their 5k and 1k! *Registration cost vary. See flyer.